At least 31 people have been killed and more than 90 injured in a series of a dozen of explosions, which rocked the capital of China’s turbulent northwestern region of Xinjiang. 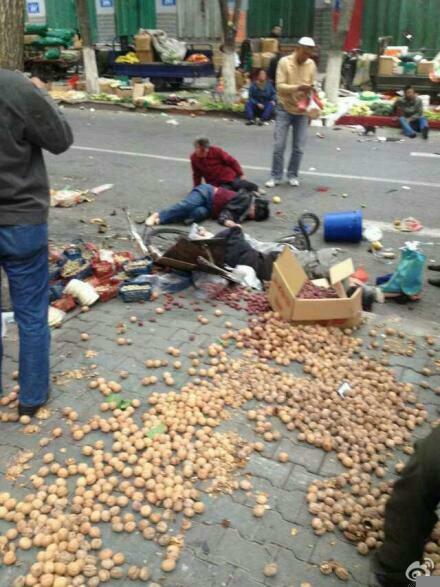 The explosions occurred at around 8am on at an open market in Urumqi, capital of northwest China’s Xinjiang Uygur Autonomous Region, Xinhua news agency reported. Witnesses reported that the blasts began when two off-road vehicles plowed into crowds of people, and explosives were thrown from them. They said that one of the vehicles had exploded in the market, while there had been some dozen explosive blasts in total. The area was cordoned off with flames and heavy smoke reported at the location.